I thought it sounded like a great way to get out of my comfort zone and try a new style of dance. That and the fact it’s raising money for two great charities was all the motivation I needed. How did you feel when you realised you were dancing Street? 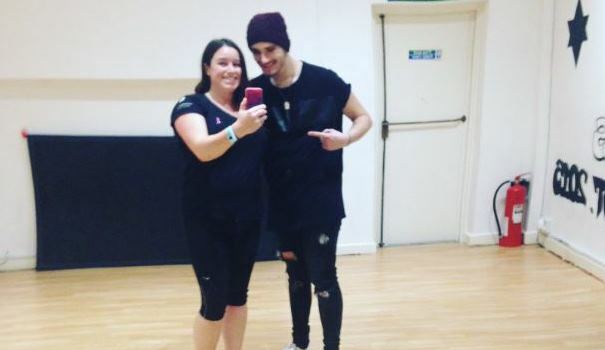 When I found out I would be learning Street Dance, I was quite nervous as it’s not a dance style I’ve tried before – I was well and truly out of my comfort zone, but meeting Jack and finding out more about the work he does put me at ease. Trying to explain it to my nan who is a regular ballroom dancer was interesting though!! Everyone has been really supportive and wanting to hear about my training when I come in all danced out on a Tuesday morning. I’m keeping our song choice a secret, which is hard, but I know they’re all behind me. My highlight 2 classes in, was being able to show I’d been working on the moves between classes. The steps are taking a while to sink in, but the videos help me practise at home and nail it! It’s the ongoing practice which I think will make a real difference.